Home»Cooking, Cleaning and More»Adventures in Cooking»Leftover Turkey Soup – Quick and Easy Dinner Ideas! 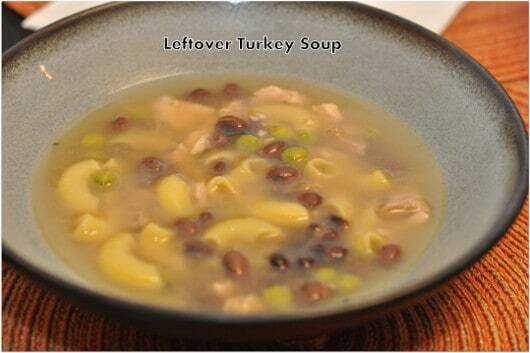 Leftover Turkey Soup – Quick and Easy Dinner Ideas! Hi this is Pranika! Leftovers abound? Make some soup! We had plenty of turkey leftover after the holiday and I wanted to do something besides sandwiches. This soup is quick, easy, and I almost call it a kitchen sink soup; there’s a lot in there! Heat olive oil over medium heat and add onion. Sauté 1 minute and add grill seasoning and garlic. Saute for 2-3 more minutes. Add chicken broth and water, mix well. Add beans and turkey. Cover pot, turn to medium high heat and bring to a boil. Add peas and pasta and cook partially covered for 6-8 minutes or until pasta is to your liking. Before serving, add juice of ½ a lemon. This is a great way to use leftovers and what’s in your pantry & freezer! We served the soup with toasted bread brushed with olive oil and sprinkled with parmesan. 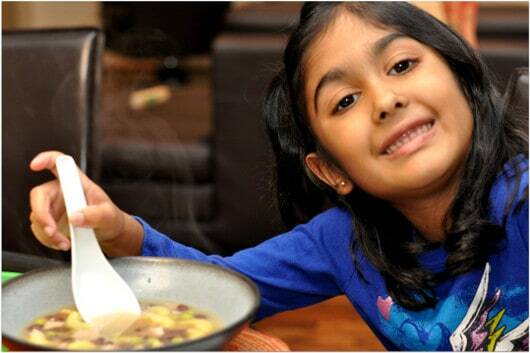 (You can substitute other beans in place of black beans and can also use frozen, cut green beans in place of peas). Where in Houston? Sabine Street Bridge!